A Quirky Kook: Are You Feeling Brave, Disney? Are You Feeling Brave, Disney? Last year, on my daughter's 11th birthday, I took her and a few of her friends to see the Disney/Pixar film Brave. She'd picked it as her birthday celebration of choice. That, and a trip to the local extravagantly priced pizza emporium. Obviously. She and her friends, as is traditional on such birthday party trips, sat as far away as possible from me in the local Sinning-World after negotiating our way through the foyer with only the one major casualty (my purse). 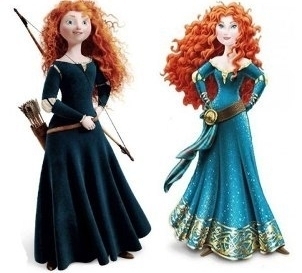 Gorging parentally unchecked on inflatedly-priced popcorn and buckets of ice with a dribble of fizz, my chaotically haired daughter fell in love with the equally chaotically haired heroine of Brave, Merida. Flame-haired Merida is feisty, sporty, wild and unruly. A tomboy tearaway, she argues with her mother, resents restrictions and wants the freedom to be herself. There is nothing about her, including her hair, that doesn't make my Tween-age girl see her as a kindred spirit. I'm only thankful this particular Tween doesn't know the name of a local witch. There is a petition. I've signed it, at the time of writing nearly 200,000 people have signed it, and you can sign it too. Organised by A Mighty Girl, the petition to Bob Iger, chairman and chief executive of the Walt Disney Company (and co-incidentally father of two daughters) is a plea to save Merida from a future as a pale shadow of her former self, rescuing her from a makeover that leaves her newly sexualised yet strangely sterile. And I've got just the way of delivering that petition. 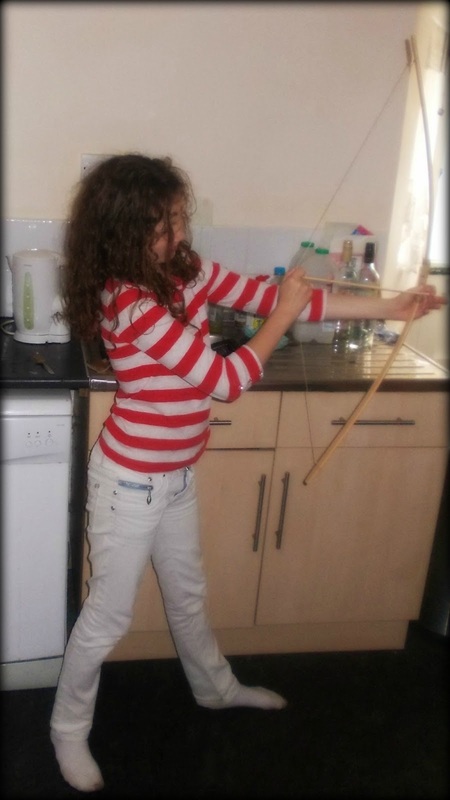 You see, The Tween identified with Merida just so much that she's developed an interest in archery, her name is currently on a waiting list to join a local club. 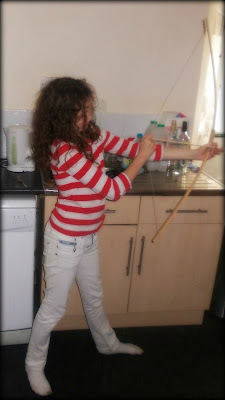 Right now her aim needs some practice and we can always apologise for any stray arrows that land in the Disney boardroom, can't we? Apply poison to the tip, then fire. A petition sounds a bit too polite. This is a really gross make-over, makes her look like some failed American Beauty Queen (I am sure I can even detect a tightening around the eye lids). I love your description of the Cine World experience, am afraid I have taken to smuggling in contraband popcorn from Morrisons under cover after my card last took a serious battering. A How To Guide To Making Rainbows.